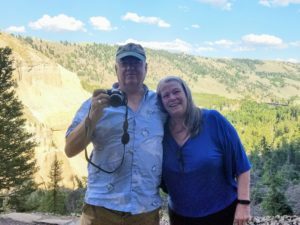 The founder, and his wife of 50 years, at Yellowstone Park. The Phillips Snow Cutter was designed by Pennsylvania contractor, Kent Phillips, who was determined to find a better way to remove snow from his roof. Removing snow from a roof can be a frustrating task. When using a roof rake or other methods, the snow often gets packed into heavy unyielding piles. Kent’s concept was simple, efficiently cut through the snow and to allow it to be pulled off the roof in neatly cut sections. Kent built many concepts, experimenting with different materials, configurations, and cutting methods. He tirelessly rebuilt the Snow Cutter and had other contractors try it, each time adjusting and fine tuning his design. Finally he had the angle, depth, length and width adjusted so precisely that even the deepest, heaviest snow could be removed with minimal effort. 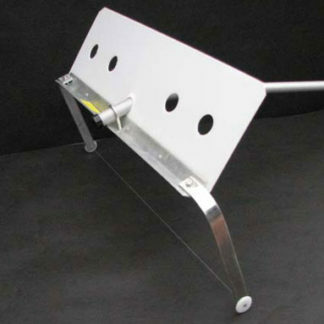 The tool is such an innovation he was able to patent the design. Those who try the Snow Cutter are simply amazed by how well it works.